In her early career Merinda lived in almost mortal fear of speaking in public. Whenever she presented to a group, she would go bright red in the face with embarrassment and wish that the floor would open up and swallow her. Doug, her boss, had identified her leadership potential and knew that her fear of public speaking was a symptom of her undervaluing herself. 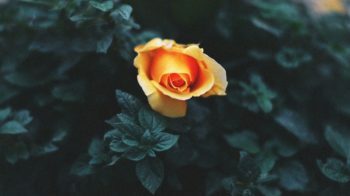 He advised her to shift her attention from herself to her audience and together they worked out some cues to help her keep on track in presentations. After practising over and over, her confidence grew. But it was not the sham confidence that comes from being a good actor. It was the quiet assurance of someone who knows they have something valuable to offer. Buoyed by her new self-belief Merinda stepped up and became a key executive on Doug’s leadership team. She delivered several large-scale innovations that enhanced the reputation of his group. She has gone on to senior leadership roles and still speaks about the difference that Doug made by placing his faith in her. Merinda is able to empathise with emerging leaders as they confront their doubts and fears. She aspires to be the leader that Doug was for her, believing in her and encouraging her to be the best version of herself. Doug has a reputation for producing exceptional results. He is the first to admit though that it’s the people around him that have made him successful. It is clear how much he enjoys spotting potential leaders and helping them grow. In fact, you can find leaders that he has supported all over the place. He takes the view that it’s better to have great people for a short time rather than average people for a long time. Are you identifying leadership potential in those around you? 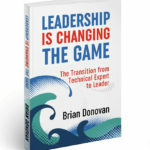 I’m excited to release my new book – Leadership Is Changing the Game – The Transition from Technical Expert to Leader.